The Arcules Solution - Solutions-ACaaS - Arcules - View the feature set. Configure users, access levels, schedules and holidays quickly and easily. Arcules enables faster setup than traditional security systems. Software is always automatically updated with the latest version, saving you time and reducing costs. With browser-based installation and workflow, it's easy to configure everything form doors to users to access levels. The intuitive user interface makes it simple to manage. It's simple to set up global schedules, access levels and holidays from one interface, without the need for IT support. Adding and managing cardholders requires just a simple click. 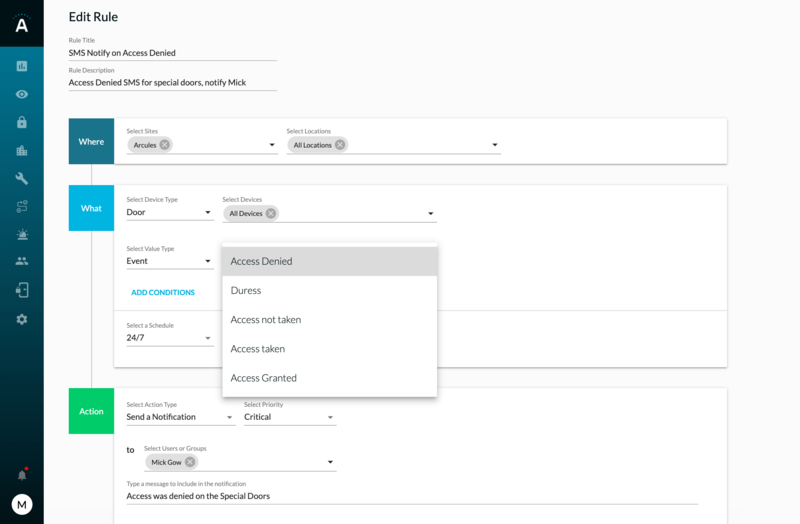 Create rules and alarms specific to your operation, and trigger notifications so you can proactively respond to security events. Plus, view live events coming from the controller to the Arcules platform. 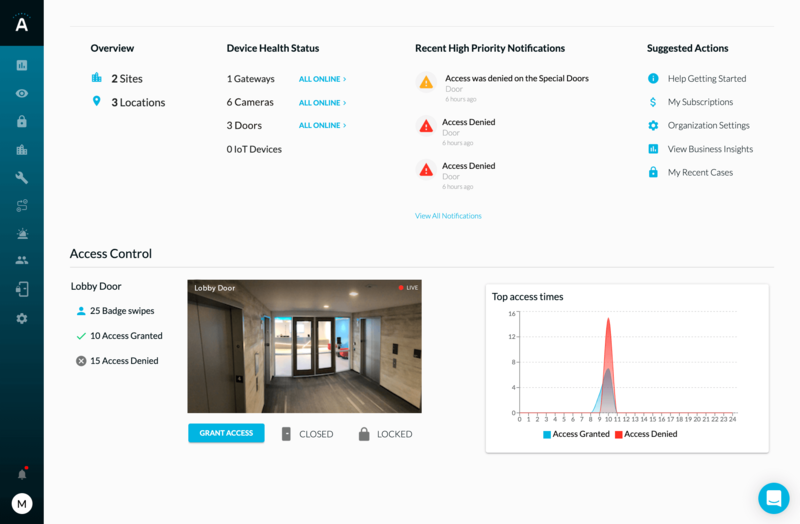 Paired with Arcules Video Monitoring, you can correlate video with access control events, associate cameras with doors, view the live status of doors, and authorize access to grant or restrict permissions.